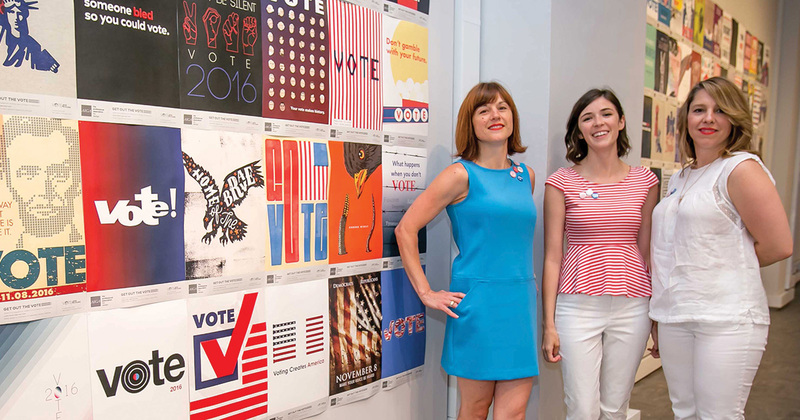 That’s why Katherine Judge, associate professor of psychology, is partnering with the Veterans Health Administration to implement and test a non-pharmacological, psychosocial intervention for veterans with stroke or TBI and their family caregivers. TBI, a blunt force trauma to the head that causes severe mental and physical impairment including dementia-like symptoms, affects two to four million people annually and is the leading cause of death and disability in war zones. Stroke affects a huge population as well. And while stroke is generally thought of as an older person’s affliction, TBI often affects younger people who, while trying to recuperate, must also deal with employment, school and family issues. While the effects of both stroke and TBI may be permanent, Dr. Judge’s novel therapeutic approach is designed to greatly improve a wide range of outcomes as well as quality of life. 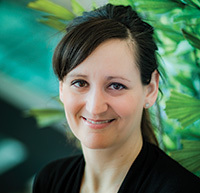 Her research seeks to address common psychological symptoms associated with patients and their caregivers, including embarrassment, isolation and depression, while also providing everyday, counseling-based tools and exercises that can assist in improving cognitive function and memory. Dr. Judge is collaborating with Virginia Daggett, a nurse researcher, at the VA Center for Applied Systems Engineering and Research & Development at the Richard L. Roudebush VA Medical Center in Indianapolis. The four-year project, called ANSWERS-VA, is funded through the VA’s Health Services Research and Development Nursing Research Initiative (grant #NRI 12-415). To date, 88 subjects have been enrolled — veterans who are being treated for TBI or stroke at VA medical centers in Indianapolis and Houston and their family caregivers. Helping to make this random-controlled trial unique is that all health care is delivered via telephone by intervention specialists — highly trained graduate students from disciplines such as psychology, social work and speech-language pathology. For 60 to 90 minutes per weekly (or less often) conference call, patients and caregivers are provided educational information on everything from effective communication and being cognitively engaged to maintaining hobbies and dealing with emotions. The initiative is based on a long-term rehabilitation research initiative, called Acquiring New Skills While Enhancing Remaining Strengths (ANSWERS), which Dr. Judge initially developed and implemented with dementia patients and their family caregivers in the Northeast Ohio area. 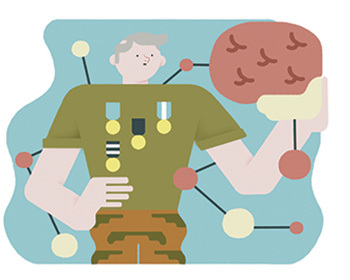 ANSWERS-VA is based on the strengths of patients and their care partners as they learn new knowledge and strategies to manage care, accept new roles and increase leisure activities. 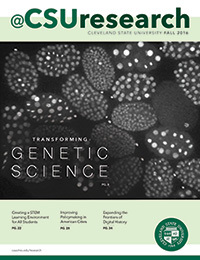 Visit CSUOHIO.EDU/RESEARCH to read our new magazine, @CSUresearch, and learn more about research and scholarship at Cleveland State.